It just so happens that two of my sister in laws and myself are all prego and due this year with baby boys. 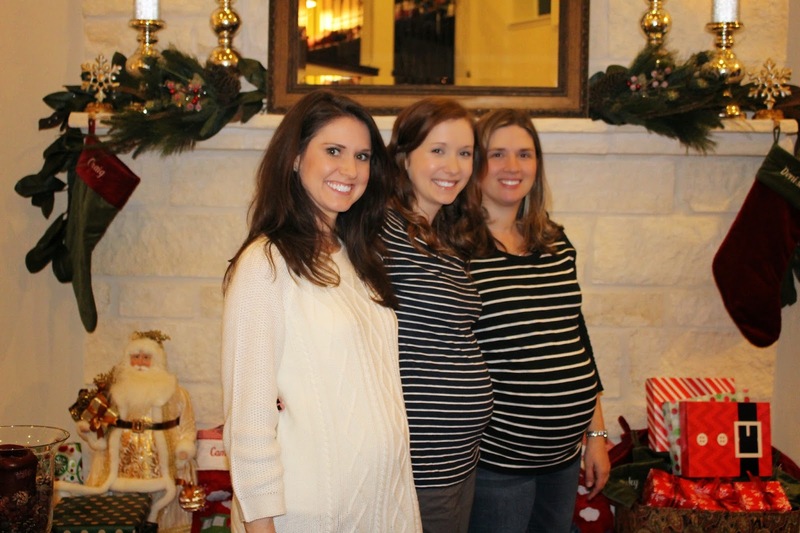 Madeline is due in June, I am due in May and Jenny is due in February. 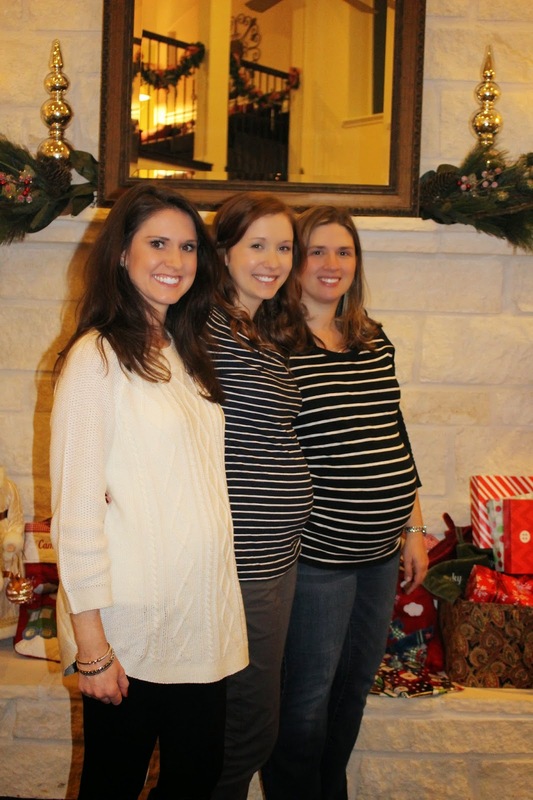 And yes, I know they both appreciate me posting this pic since I pretty much had to beg them to take it haha… ;0) I’m so excited they are having boys too though, it will be fun for them to all grow up together so close in age! 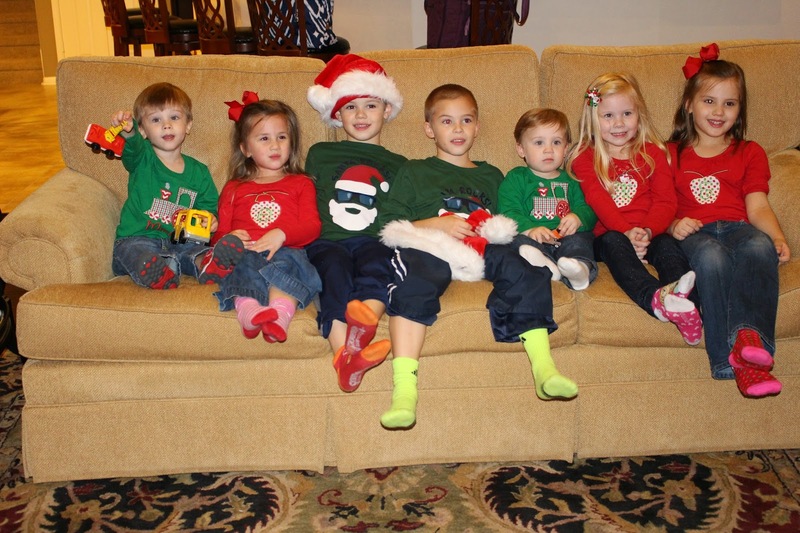 All the Campbell Grandkids… we are adding #9, #10 and #11 this year! One sister in law has no need for this post because she is having her 5th child but my other sister in law is having her first! She messaged me a couple of days ago saying that they were going to be registering soon and asked if I had any advice on what they should register for… this made me smile because I totally remember that overwhelming feeling of walking into Buy Buy Baby and them handing me that scanner gun… and then just standing there staring at things with Jacob thinking, “Will we really need this?? Or this?? What about this brand?? or that Brand? ?” I mean really, it can be truly overwhelming in a store like that, not to mention that your brain is flooded with hormones and really is in no condition to make decisions. I told her I would get back to her because seriously, that is not a question you can answer in a text message! So I sat down, during nap time of course hehe, and started making a list of all the baby stuff I like. And that’s just what this is. Baby stuff that we like. Every baby and family is different, so part of the game is finding things that work for you, figuring out what your baby likes and what fits your lifestyle. I organized it by categories… nursing/feeding, strollers, carseats, swings, bath stuff… it goes on and on and on… and on some more. I added some links to show pictures of things I wasn’t sure made sense, or if I found them on Amazon instead of in store, I linked them as well. I also explained why we liked those things and how useful they ended up being. I’ve wanted to do this for a while because she’s not the first person to ask me that question. So while I was working on this my sweet hubbie said, “Hey! You should put this on your blog!” And now it is. So if you are interested in a huge pdf full of baby things and some of my “non-expert” advice (because I am definitely no expert, just a momma trying to make it! ), click away on the link below! Hopefully there is something here that can help you make some decisions, or answer some questions you have and maybe even help you think ahead for occasions or stages you haven’t gotten to yet. If anyone has anything to add, I would love to hear about it in your comments! I can always revise the word doc and repost it later. Previous Look No Further… The BEST Blueberry Muffins! Next Turtles in a Half Shell… Turtle Power!